Crew Dragon is in the right position the nose cone well above the PMA. By cons sorry "Brian" but the lazer is no longer in the target of IDA. What ISS is being used for these screen captures? with a lot of ADDON from the OH community for its update. by Perseus for both Orbiter 2010 and 2016. 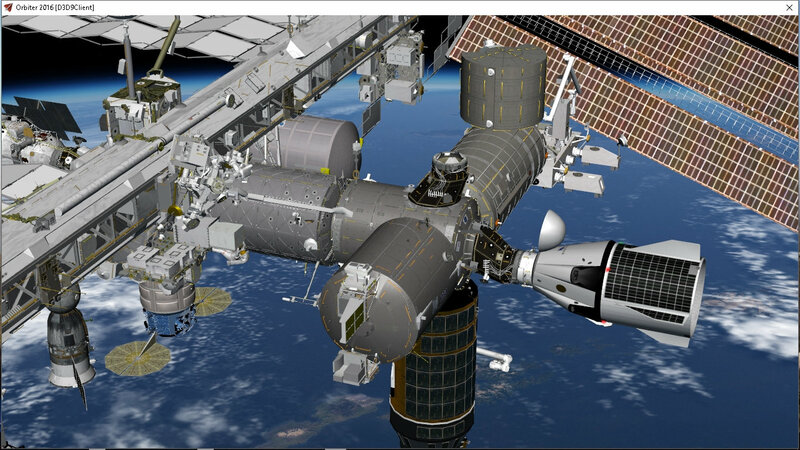 Just re-watched the docking of the Dragon 2 spacecraft to the ISS. The real docking was so much like the Orbiter simulation of it. The quality of the Crewed Dragon in Orbiter is so amazing! Thank you Brian and Donamy for this excellent addon! again you and Don have done a super job with Dragon 2. I know your looking at an update with the Draco's under the nose cap I would ask you to look at some new VC views and the Docking MFD. Are you doing the Landing scenario ? thanks, we got a whole lot more info about how the Crew Dragon operates now! Yes, I guess Don will probably be updating his latest Dragon (which looks quite superb). 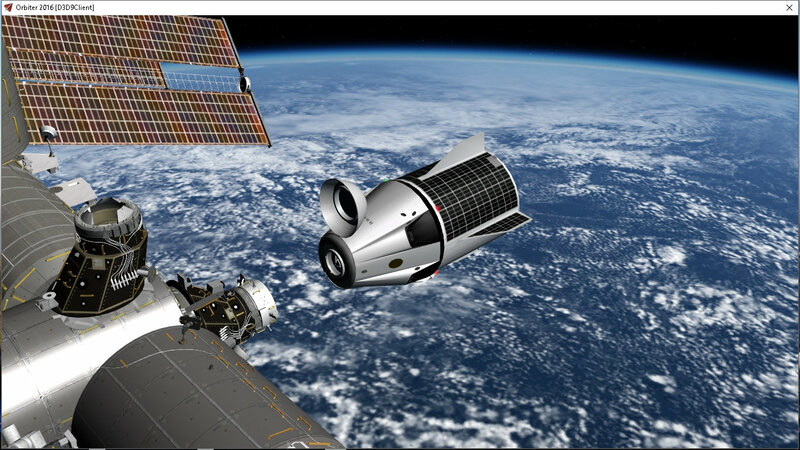 I will hope to have a de-orbit scenario done (and a splashdown target ;-) in the next few days. Do we have any info on splashdown zone or recovery vessel location? 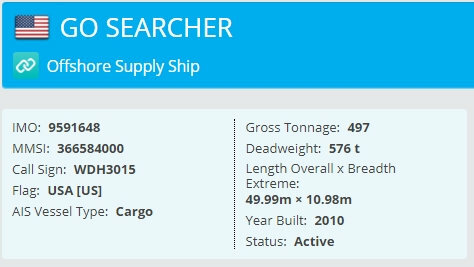 On the theme of recovery vessels, Go Searcher is just about ready for operations.. 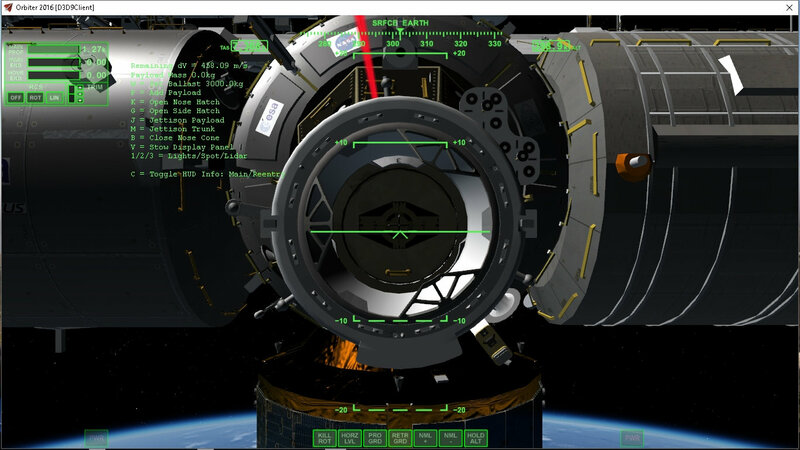 Updated old scenarios, added DM-1 launch and undocking scenarios. 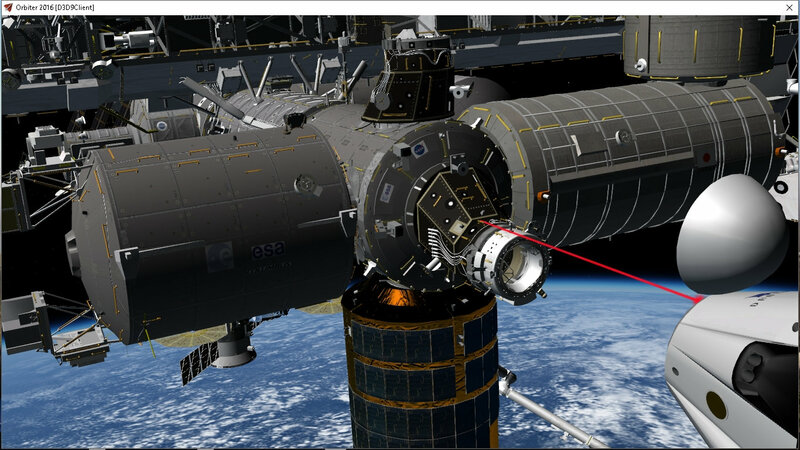 Updated docking port in Config/Vessels/dragon2/iss_ssrms.cfg . Brian the landings will be off the Florida coast for Crew Dragons and so far been unable to get the Helo off the deck. yes, I left the "test" scenarios recovery vessel on the West Coast just for testing, for DM-1 scenarios I think it's more or less correct (it's a lot further out than the "24 miles off Florida coast" I heard somewhere, but from JPL data for ISS, thats where the groundtrack goes. 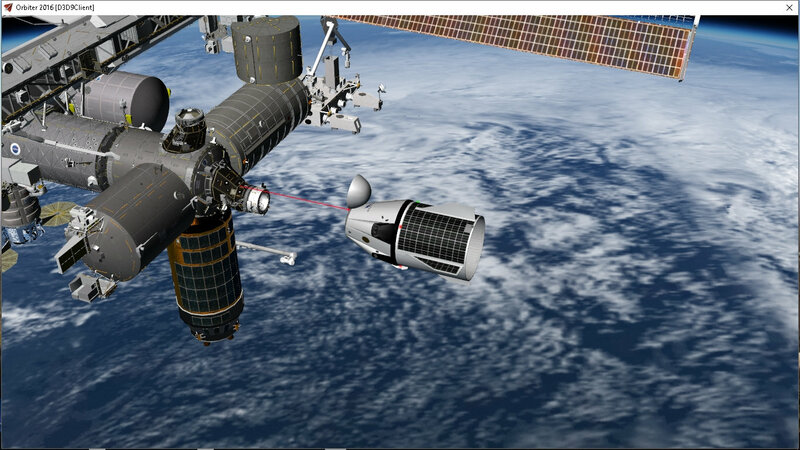 Unless Dragon does a plane-change or orbit-raise before deorbit). In the add-on, you need to press K to enable helicopter landings/takeoff from the flight deck. I don't know if SpaceX will be using AS350 - but it's the only helicopter I have for Orbiter ;-) Hope you get to do some flying soon.